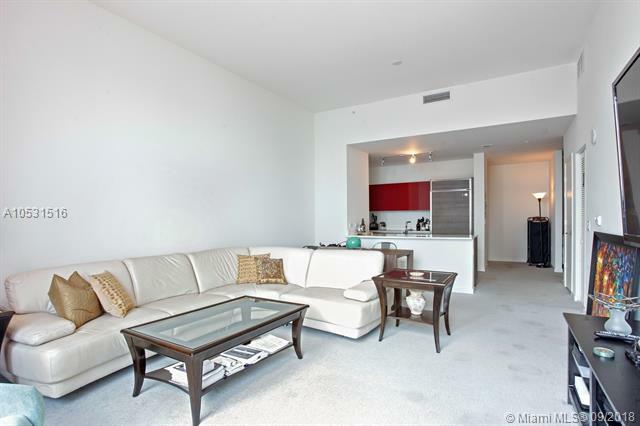 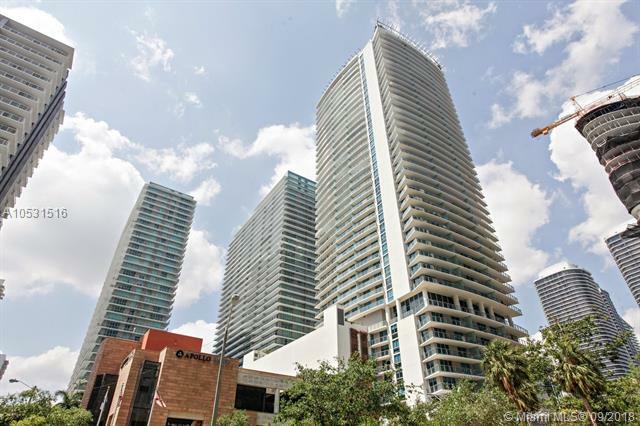 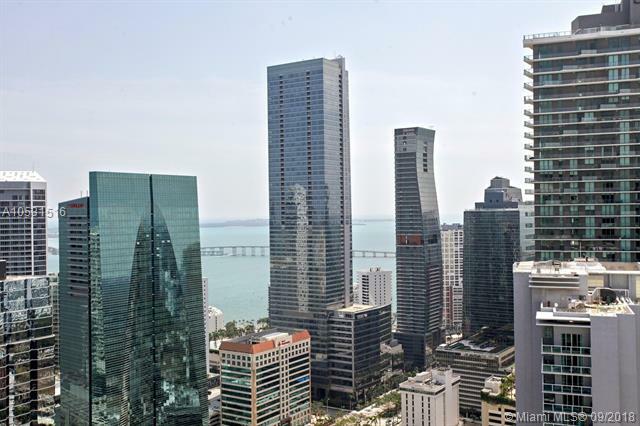 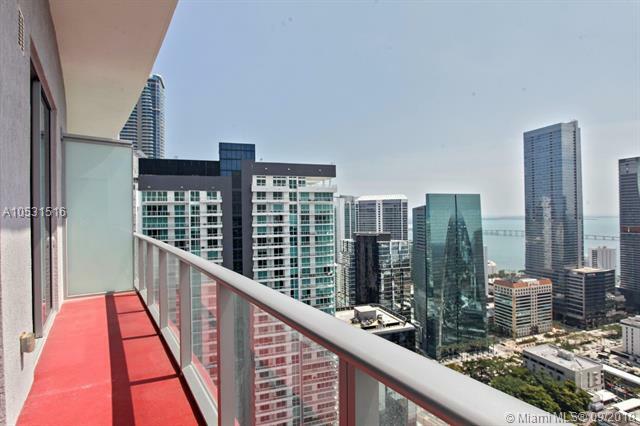 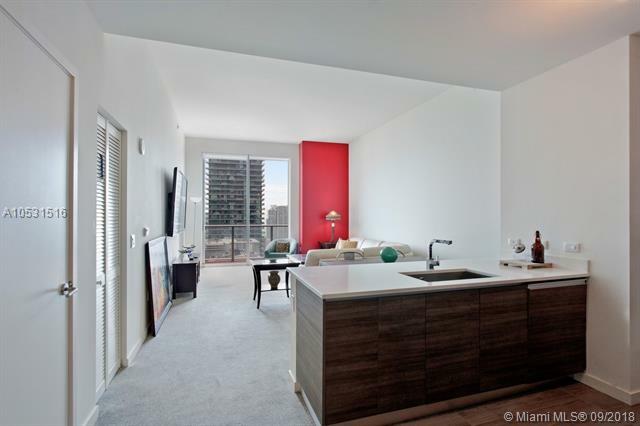 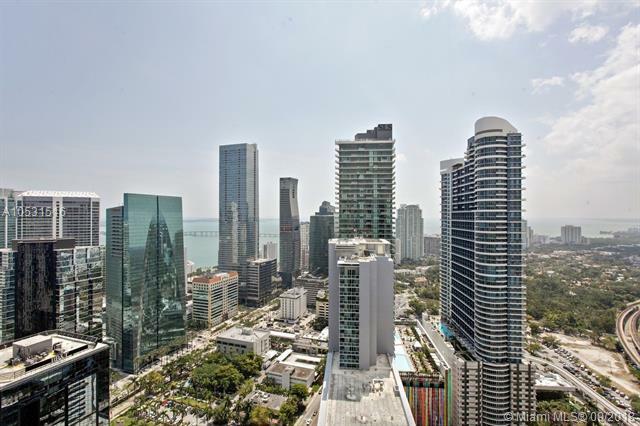 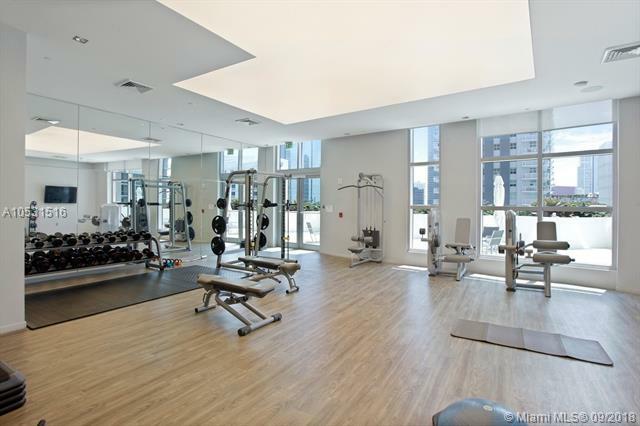 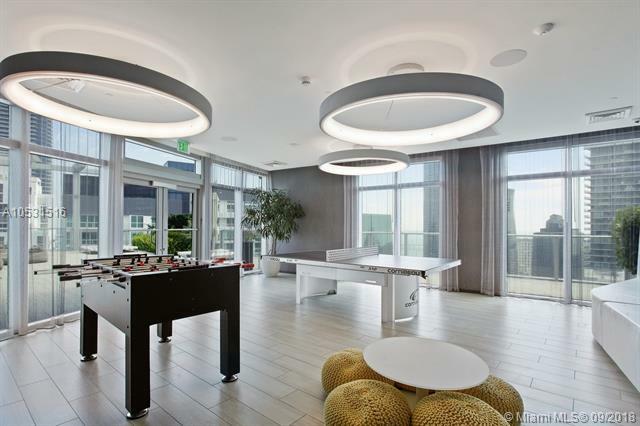 In the heart of the prestigious neighborhood of Brickell. 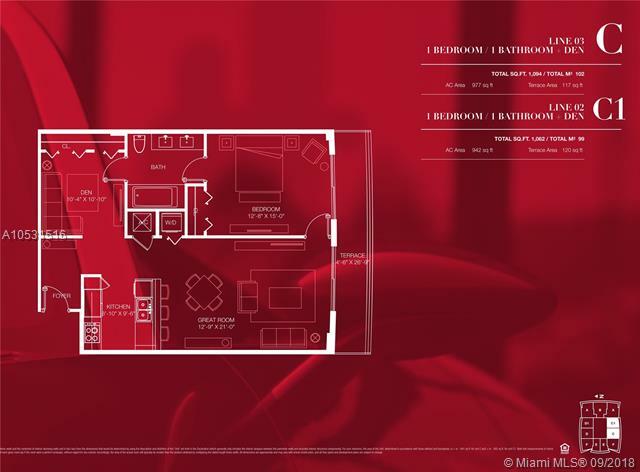 The Millicento, designed by Pininfarina, a Penthouse Residence, high in the sky, on the 42nd floor; offering both style and flair. 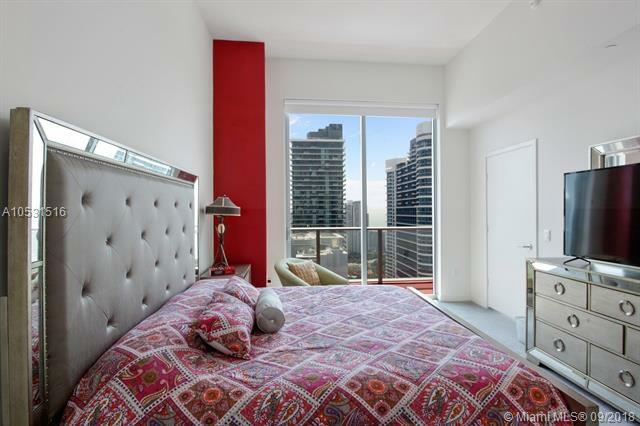 A bright red door, opens up to a refreshing 923 square feet of space, enhanced with 10-foot-tall ceilings. 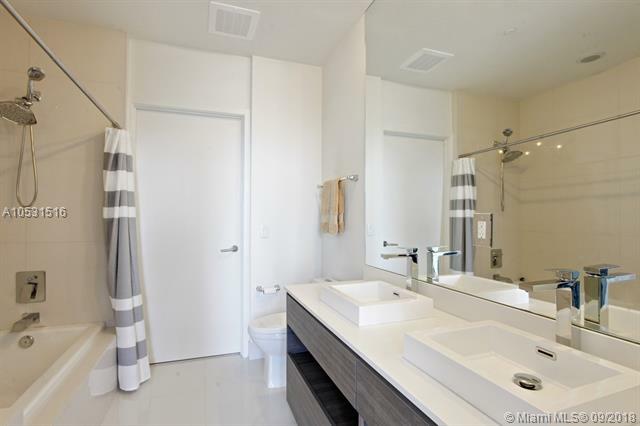 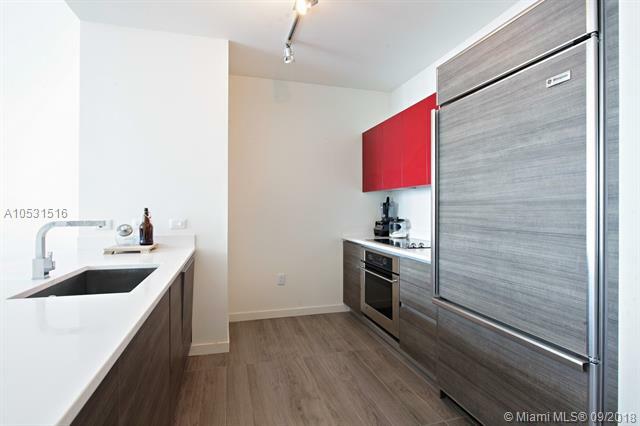 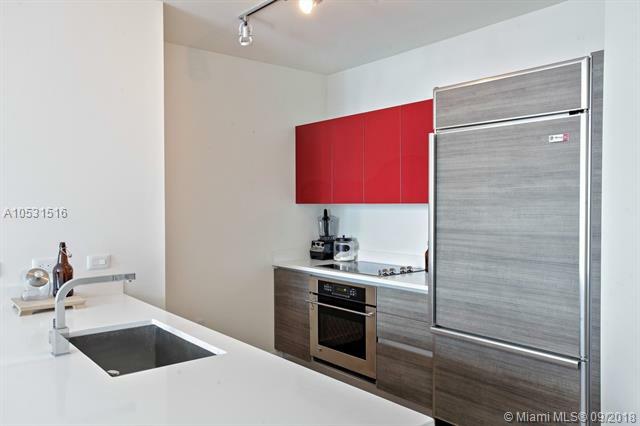 Encompassing 1-bedroom, 1-den, 1-bathroom and a modern kitchen decked out with with European designed cabinets and top of the line appliances. 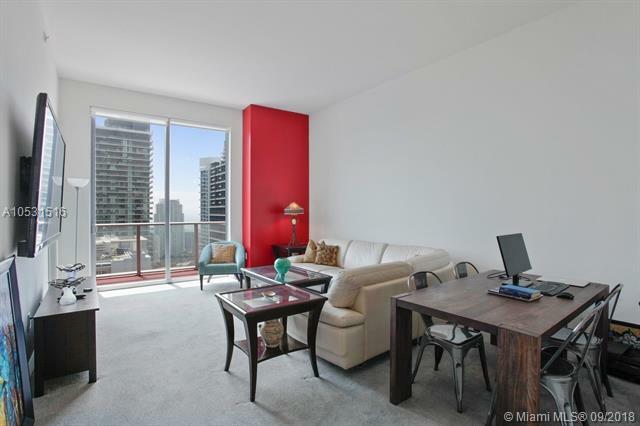 Floor to ceiling windows and sliding doors, frame some of the citys most expansive and picturesque views. 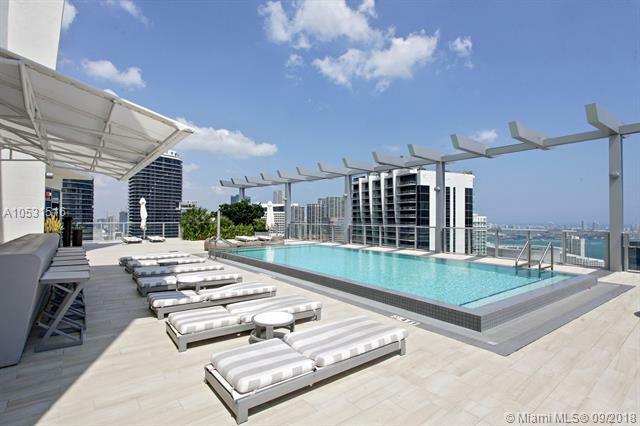 Swim in the rooftop pool with the city beneath you and enjoy panoramic views. 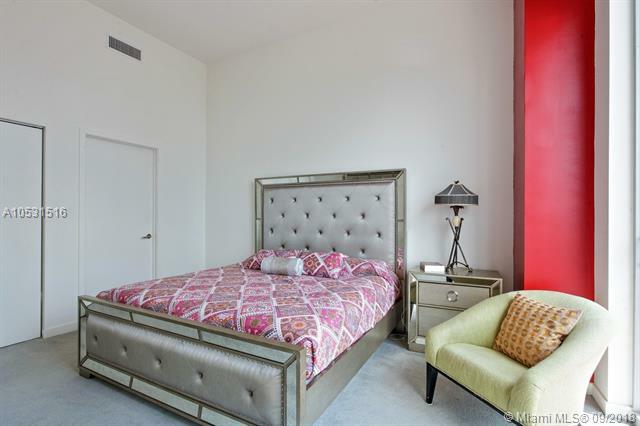 Close to Miami International Airport, Perez Art, Adrianne Arsch Center, travel, art, community, in the heart of it all.